We offer prints from your digital files in color, black & white and canvas mounted prints. Click on the tab below to view the prices for the type of print you would like to have made. 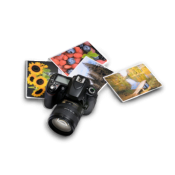 If you have film or some medium other than digital, there will be an additional charge to convert to digital before printing. 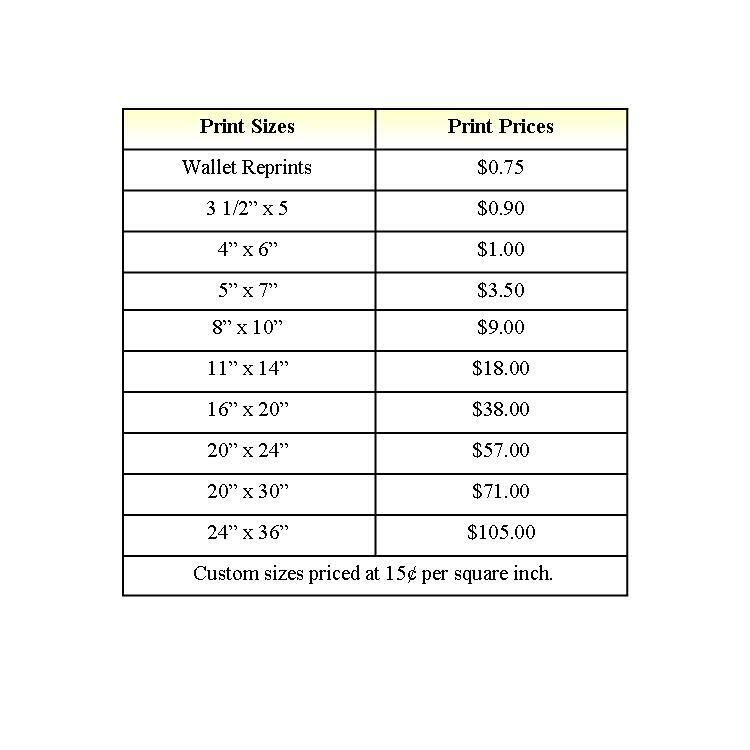 Below are the prices for the standard size color prints. All prints are done on Luster paper using archival Epson inks. Below are the prices for the standard size black and white prints. All prints are done on Luster paper using archival Epson inks. Canvas prints have the option of being a gallery wrap canvas or not. In a gallery wrap canvas, the photo extends around the sides of the canvas to the back edge (the part that rests against the wall.) A gallery wrap canvas gives a finished look to the canvas and allows it to be put up without a frame. If you are going to frame your canvas print, you may want to consider ordering a regular canvas of your photo. We can discuss the different options and the best choice for you when you place your order. ©2018 Photo, Video, Audio and Digital Solutions. All Rights Reserved.